The colors of fall are breathtakingly brilliant in other parts of the country. 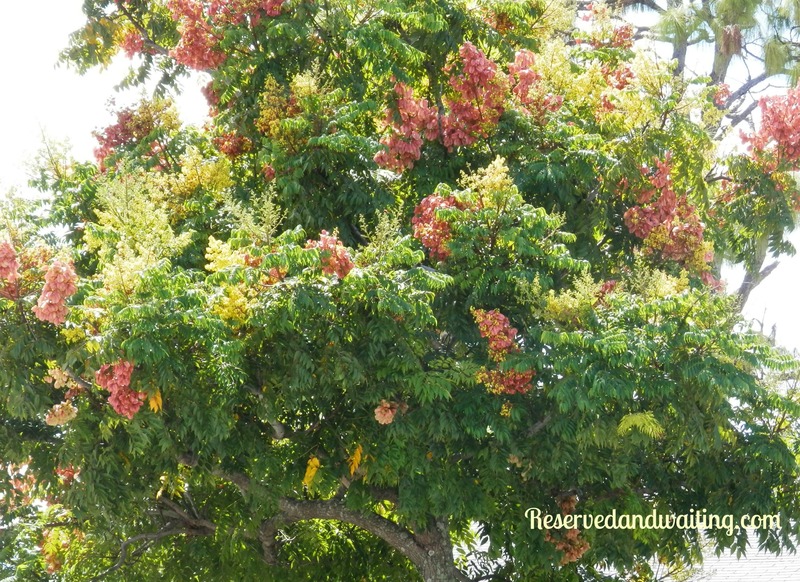 Here in south Florida the colors of fall appear in a less noticeable way. A few years back a longing was growing in my heart. This day in October the sun was shining with not a cloud in the sky. The bright color of blue was the perfect backdrop of what was being displayed. Even though I had traveled this way often my eyes never saw what was plain to see. The brightest of yellow with patches of reddish-brown flowers intertwined with the leaves of green. A row of these trees lined my path. With each tree I passed I was in awe, how have I never noticed them before. After that day God soothed the longing in my heart of seeing the colors of fall that He provided. He whispered to me “see, if you just observe. I will show you the signs of the changing seasons.” I don’t know the names of these trees, but I am okay with that. I know each fall their brilliance will be a display for me to see. How do you see the colors of fall? I was reading a post earlier on another blog about the scientific reason the leaves change colors. I have to say, I don’t even care about the science part. I just love looking at the colors! I agree I love the colors. I miss the yearly displays of color when I lived in the mountains, but I will take what I can get. Thanks for stopping by.